German Shepherd Golden Retriever Mix | What You Need to Know? 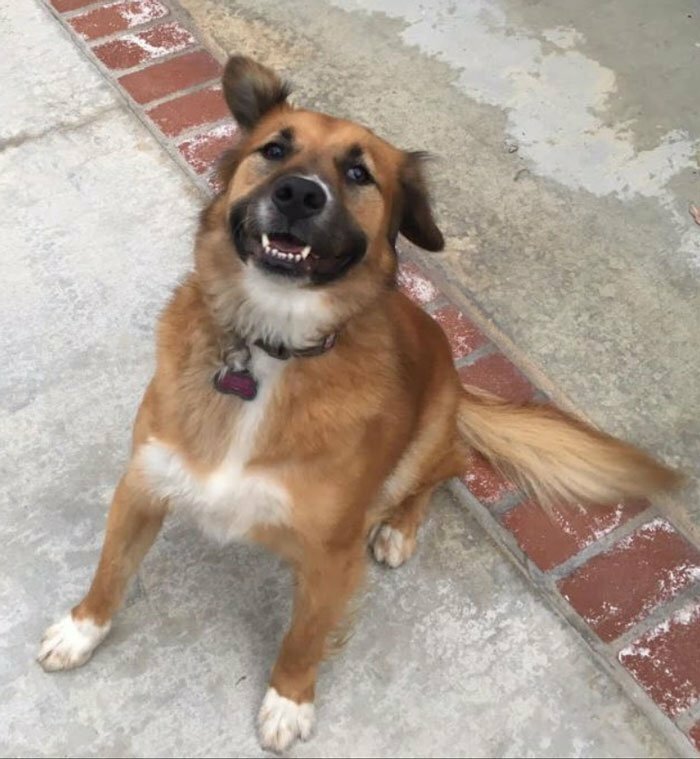 The German Shepherd Golden Retriever mix comes from two rich and popular breeds of dogs that have many desirable traits. German Shepherds are working powerhouses. Bred for herding in the 1800s in Germany, they thrive when they are given a job to complete or a puzzle to solve. Long Haired German Shepherd – Long Hair Don’t Care? Their brains, brawn, and bark make them a popular dog choice across the world, especially in law enforcement. They also make great family pets, as their loyalty and affection forge a strong bond with children and members of the family unit. They are excellent protectors of the home, with their loud and intimidating bark coupled with their impressive appearance making any intruder think twice about breaking the law in that dog’s home. Golden Retrievers are often seen as the polar opposite of a dog like a German Shepherd, but in fact, they’re a lot alike. Golden Retrievers are fiercely loyal to their families and good protectors of the house. They are also incredibly playful and intelligent, and they love to have a job to complete. Golden Retrievers are popular working dogs, especially as guide dogs, search and rescue dogs, and service and therapy dogs. They are often revered as the “perfect family dog,” but they need just as much training in their early years as other large, rambunctious breeds. The Golden Retriever was developed as a hunting dog, so they need plenty of physical activity. The mix of these two breeds brings the best of both worlds together. The physical dexterity and mental acuity of the German Shepherd mixed with the easy-going, eager-to-please nature of the Golden Retriever makes the “Golden Shepherd” designer breed an intriguing choice for any family looking to add four new paws to their home. The history of the German Shepherd begins in Germany in the late 1800s, developed for use in the German military by Captain Max von Stephanitz. Their utility, fearlessness, and high intelligence made them one of the primary assets to the German Army during World War I. By the time World War II broke out, German Shepherds were being used in multiple military units across various countries, including the United States and Britain. The dogs were utilized for various jobs during the wars, including bomb detecting, guard dogs, search and rescue dogs, and as messengers. In 1928, Morris Frank, a blind man, and Dorothy Harrison Eustis, a police dog trainer, teamed up to create the first Seeing Eye Dog program. They started with a German Shepherd named Buddy, and the program quickly gained steam. German Shepherds made up the majority of this program until the mid-1900s, but about 15% still serve as Seeing Eye Dogs today. Today, German Shepherds and their counterparts, the Belgian Malinois, are two of the most popular choices of police dogs in law enforcement agencies all over the world. Owing to their development as military working dogs, their eagerness to please their handler, coupled with their work ethic, makes them a great choice for any task that needs enthusiastic completion. German Shepherds are utilized in K-9 units in many law enforcement agencies, used to sniff out drugs and hunt down lawbreakers. They are also trained as search and rescue dogs and explosive-sniffing dogs. Golden Retrievers were developed as a hunting breed in the 1800s in Scotland by businessman and politician Dudley Marjoribanks, who later became Lord Tweedmouth. A sporting man himself, Marjoribanks was intensely invested in developing a breed of hunting and retrieving dog that would thrive in the Scottish Highlands climate and terrain. Marjoribanks acquired a golden, wavy-haired retriever puppy named Nous from a local cobbler, and bred the dog with a Tweed Water Spaniel named Belle. Marjoribanks selectively bred the pair and kept the yellow, light-haired puppies. 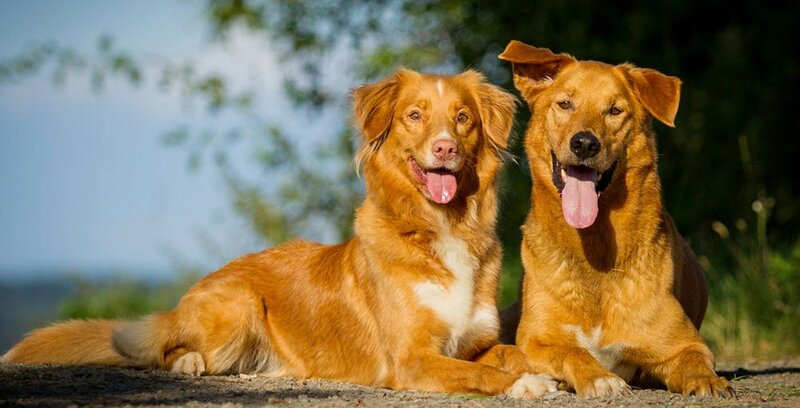 There is some thought that red Irish Setters were also used in the subsequent generations, eventually resulting in the golden-colored breed we know and love today. Other theories speculate that the Tweed Water Spaniel named Belle was actually a smaller version of the modern day Newfoundland. Selectively bred not only for their appearance, but also for their intelligence, work ethic, and eagerness to please their hunting owner, the Golden Retrievers of today come from this established line and their characteristics make them one of the most popular choices for hunting and family dogs. Because both German Shepherds and Golden Retrievers are similar in size, the accidental cross-breeding of the two has happened several times throughout the years. However, the Golden Shepherd’s designation as a designer breed has steadily risen in popularity over the last 20 years. 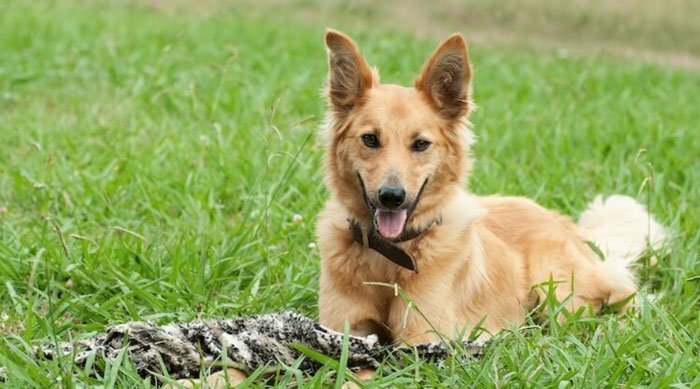 The idiosyncratic looks of the two breeds mixed in the Golden Shepherd’s face, body, and coat, make them unique and adorable. The qualities of the working breeds, including their work ethics, intelligence, playfulness, and loyalty make the mix of the two breeds even more compelling as a choice for a designer breed. Because there is no regulation of the Golden Shepherd as a breed, the actual size and appearance of these dogs vary widely. 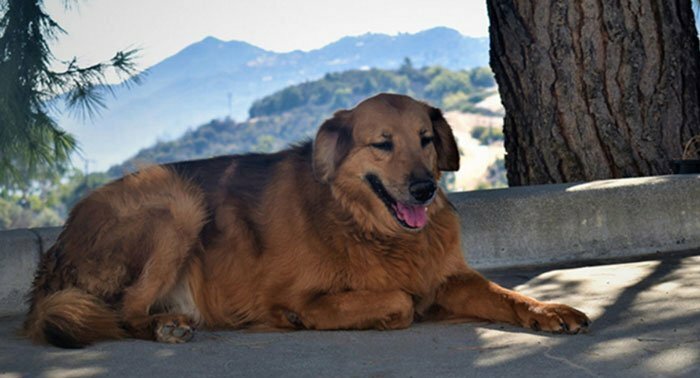 For the most part, the closeness in size between the German Shepherd and the Golden Retriever results in Golden Shepherds that are typically between 65-85 pounds and 20-26 inches in height, depending on the size of the parents. The appearance of their coat also depends on which characteristics of their parents are dominantly expressed. Some Golden Shepherds sport the distinctively long, wavy coat of the Golden Retriever, while others feature short-haired thick coat of the German Shepherd. The colors also vary, according to the parents and resulting mixed puppies. Some Golden Shepherds look just like a Golden German Shepherd: their coats are short, their ears stick straight up, and their coats are Golden Retriever-colored. More often, though, the Golden Shepherd features the black-and-tan mask of the German Shepherd and the long, wavy coat of the Golden Retriever. The ears are one of the most distinctive features of a German Shepherd: their pointed appearance makes them look quite alert and protective. The Golden Retriever, on the other hand, features the floppy ears that are one of the most endearing characteristics of the breed. The Golden Shepherd’s ears does not seem to be uniform across the designer breed. Some Golden Shepherds have the German Shepherd pointed ears, while others possess the floppy Golden Retriever ears. Still others have one ear that pops up, while the other remains folded over. Many Golden Shepherds also have a unique blend of the two, being a little thinner, longer, and set higher on their heads than the Golden Retriever’s ears. The Golden Shepherd is a designer breed, so while it is not a regulated cross-breed, there are many distinctive characteristics that prospective owners can expect from their Golden Shepherds. Like all dogs, early training and socialization is critical to helping your dog adapt to many situations. Both the German Shepherd and Golden Retriever are working breeds with a high intellect, so they are relatively easy to train with plenty of consistency and dedication. Both breeds are very playful, loyal, and energetic. German Shepherds, because of their herding instincts, can be territorial or guarding, so this is a trait that must be tightly controlled with training. While Golden Retrievers are generally seen as some of the most friendly dog breeds, there has been a measurable uptick in reports of aggressive behavior in this breed since at least the mid-1990s. Some posit that the rise in popularity of the breed, coupled with poor training or situations of abuse or neglect, might be the reason for this trend. Others have suggested that careless breeding of Golden Retrievers might be a source of previously-unseen aggressive behaviors, and that this might be an issue across all breeds. For the moment, no significant link has been found to the aggression-genetics theory, but studies are still being conducted. Nevertheless, Golden Retrievers, while generally very affable and happy, do still require proper training and socialization to avoid possible aggressive behaviors later on: just like any dog breed. The Golden Shepherd will likely inherit many of the admirable traits found in their German Shepherd and Golden Retriever relatives. The desire to work, retrieve, herd, and play will be some of the most prominent characteristics in any Golden Shepherd. In addition, their high intellect will make them easy to train, and their eagerness to please you will make training a pleasurable activity for both you and your dog. The loyalty and undoubted affection of the Golden Shepherd will make them a welcome addition to your home and your family. The German Shepherd and Golden Retriever are both bred to work, so they require at least moderate daily exercise to meet their energy levels. 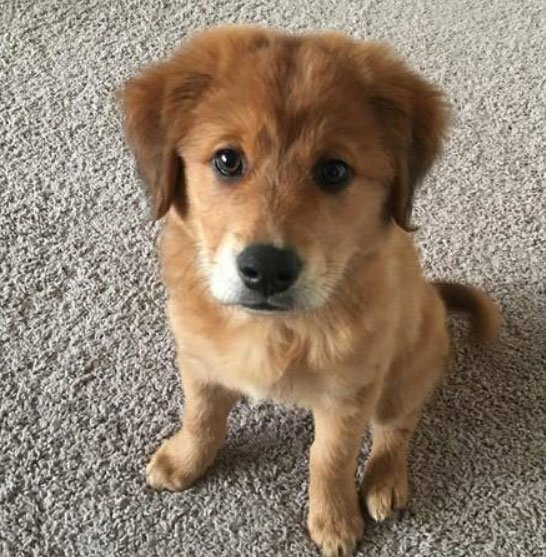 Because of the popularity of the Golden Retriever, it may seem like a Golden Shepherd would be a good fit for a small apartment, but the dog will need some solid cardio and run time each day. German Shepherds love to have a job to do, so taking them out to meet people, track scents or find items, and play with other dogs are all excellent ways to keep their minds sharp and their herding instincts met. Golden Retrievers, bred to retrieve game for their hunters, love a great game of fetch, chase, and swimming. The Golden Shepherd is likely to enjoy all of these activities, and will also likely have a very playful, puppy nature well into their middle-aged years. 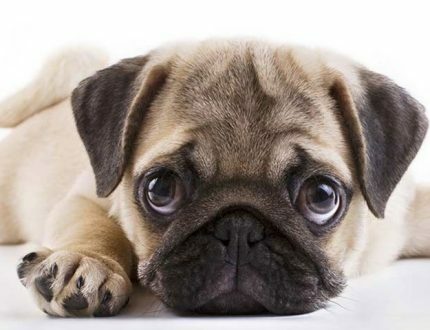 While careless breeding hasn’t yet been genetically linked to aggression issues, it absolutely has been linked to health issues in these two breeds. Unfortunately, this has translated into many of the affordable purebred lines today. 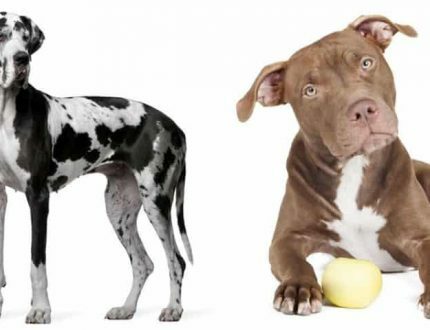 Because the two breeds are close in size, they face many of the health challenges of larger-breed dogs, and some challenges which are specific to each breed. Golden Shepherd owners need to keep an eye on the following health challenges seen in German Shepherds and Golden Retrievers, as even though Golden Shepherds are a mix, they can still inherit some of these issues. German Shepherds are known for issues with hip dysplasia, degenerative myelopathy, eye problems, Pancreatic Enzyme Insufficiency (PEI), and bloat. The most common issue seen in German Shepherds involves issues with their hips and lower spine. Degenerative myelopathy is the neurological degeneration in the spine beginning around 8 or 9 years old. The generation leads to numbness, lameness, and eventually total paralysis of the hindquarters. Golden Retrievers are also at risk for hip dysplasia, in addition to elbow dysplasia. German Shepherds and Golden Retrievers both experience issues with developing cataracts and Progressive Retinal Atrophy (PRA), both of which can cause early-onset symptoms of night blindness and eventual total blindness. Pancreatic Enzyme Insufficiency is a breed-specific health issue in German Shepherds. PEI is a disorder of the exocrines in the pancreas which hinders the digestion of food, and is a lifelong issue treatable with medications and a strict diet. Golden Retrievers, on the other hand, are susceptible to a blood clotting disorder called von Willebrand’s Disease. This disorder can lead to uncontrolled bleeding and internal hemorrhaging, especially after surgery. Golden Retrievers face a few additional concerning health issues, including subaortic stenosis, a condition in which there is a narrowing of the aortic valve, which inhibits blood flow. Dogs with subaortic stenosis face a higher risk of sudden death as early as 5 years old, so it is important to have your veterinarian to keep an eye on any heart murmurs, and for you to report any change in physical endurance or stamina. By far, the biggest health issue seen in Golden Retrievers is cancer. Bone cancer (osteosarcoma), cancer of the blood vessel lining (hemangiosarcoma), and cancer of the lymphoid tissue (lymphosarcoma) are all common cancers seen in Golden Retrievers. According to a 1998 study conducted by the Golden Retriever Club of America, cancer accounted for 61% of deaths in Golden Retrievers. In a study performed by the British Small Veterinary Association Scientific Committee in 2004, the statistics were closer to 38%. It is crucial to keep Golden Retrievers up-to-date on their veterinary appointments, and have their health regularly checked for signs of these cancers. 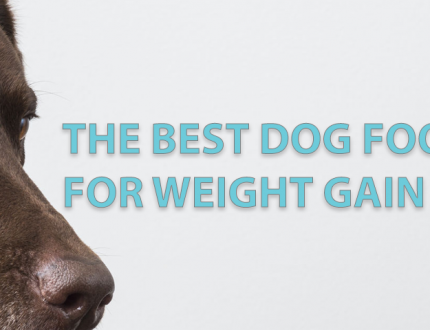 Both dog breeds, because of their large size, also face the risk of developing bloat. Slow-feed bowls, smaller, more frequent meals, avoiding exercise right after meals, and not using elevated food bowls are all ways to combat bloat in dogs. Golden Retrievers are also at a higher risk for developing skin allergies. While the Golden Shepherd may inherit many of the risk factors for these health issues, it’s important to get early genetic testing done to see if your Golden Shepherd possesses any of the problematic genes. Early intervention is key to a longer, happier life for you and your dog. The average lifespan for Golden Shepherds is 10-15 years. For potential dog owners who are looking for the perfect mix of intelligence, playfulness, energy, and affection from their dog, the Golden Shepherd brings the best of two popular breeds into one dog. The physical characteristics from the Golden Retriever and German Shepherd parents lead to some of the most distinctive and charming faces, colors, and markings on a dog. Pitbull German Shepherd Mix – Intelligent, Strong Family Dog? 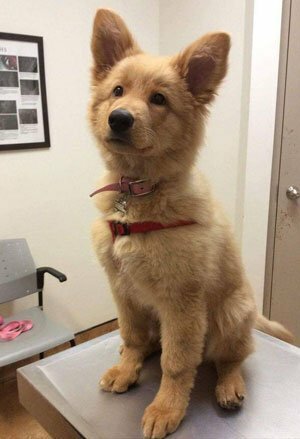 A German Shepherd Golden Retriever mix (Golden Shepherd) might be just the dog you have been searching for. Make sure to socialize and train them early and consistently, and with plenty of exercise and love, this dog will be a true joy to have as your furry companion.